Binh Duong (VNA) – India’s Tata Coffee Ltd., Asia’s largest coffee plantation company, began construction of a freeze-dried coffee plant in Vietnam on August 16. 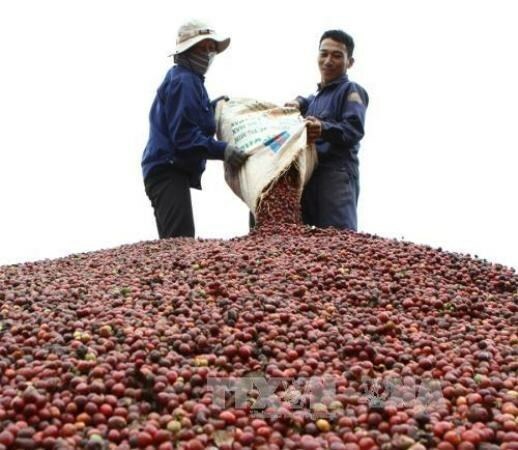 The groundbreaking ceremony officially marked the beginning of the coffee plant that aims to produce 5,000 metric tonnes per annum of freeze-dried coffee at the Vietnam-Singapore Industrial Park II (VSIP II) in the southern province of Binh Duong. The plant is slated to start production in the next 18-21 months. Sanjiv Sarin, Managing Director and CEO of Tata Coffee Ltd., said the Tata Group already has a close relationship with Vietnam in various sectors, including automobiles, steel, trading, energy and watches. With this investment, beverages will also become a major sector of participation. “While our products are already exported to over 40 countries across the globe, our instant coffee has so far been produced only in India. Tata Coffee Vietnam marks our first foray beyond Indian shores as a manufacturer, and hence is a significant milestone in our journey to become a global coffee major,” he said. “Tata Coffee Vietnam will endeavour to bring best-in-class manufacturing practices, with special focus on safe working conditions. The project will contribute positively to earning foreign exchange and creating local employment,” he added. Tata Coffee is a subsidiary of Tata Global Beverages, and one of the largest exporters of instant coffee in India. Tata Coffee produces more than 10,000 metric tonnes of shade grown Arabica and Robusta coffee at its 19 estates in South India and its two instant coffee manufacturing facilities have a combined installed capacity of 8,400 metric tonnes.